Homewerx Home Inspection Blog: Don't Just Have a Home Inspection, Get a HomeXray!! We have been using this equipment in the lase two years and it has given us a very reliable results and positive response of our clients. Very recommended! Wow. A great tool but can it be use when someone is in the house? Thanks for stopping by HomeInspectionBlog.com. Yes, the thermal imaging camera used in a HomeXray can be used while people are in the house. It's not really an "Xray" and it's not harmful. The thermal imaging camera simply views infrared energy, which is invisible to the human eye, and translates it into a thermal image (picture showing temperature variations). 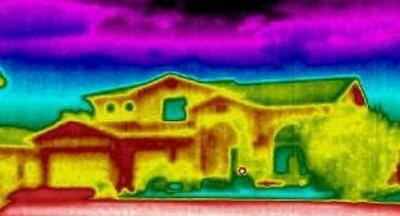 The Inspector then interprets this thermal image to find defects in your house. Hope this information helps! Good information on IR. Here in the Houston, Katy, Sugar Land area, IR cameras are used only for very specific issues. They are not really for use during a general home inspection and the people using it must be trained on hot to read the cameras. 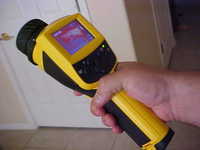 Most home inspectors do not know the proper what, whens, and wheres on the IR cameras. Nice site keep up the good work! You’re right, an ounce of inspection is worth a pound of repair! A thorough home inspection is an absolutely critical piece of any home sale. Whether you’re the seller or the buyer, insist on a complete home inspection from an experienced, well-respected, unbiased inspector. Your real estate agent should be able to recommend a professional home inspector. A home inspection will probably cost you a few hundred dollars – but it will be money well spent. If you can, use the opportunity to educate yourself about your new house. Follow the inspector around as he inspects the home – most inspectors will explain the basics about how stuff works and answer your questions. At least, make time to meet with the inspector after he’s done. Ask him about any problems he found and how serious they might be. How long have you been using thermal now? I'm considering offering it in my area and was wondering how receptive your market has been. Nice site, BTW and keep up the good work. Home X-rays / thermal imaging inspections are a very high liability service if you don't get the proper training, so be sure you invest in the best training if you're going to offer the service! Very good information.A thorough home inspection is an absolutely critical piece of any home sale. Whether you’re the seller or the buyer, insist on a complete home inspection from an experienced, well-respected, unbiased inspector. 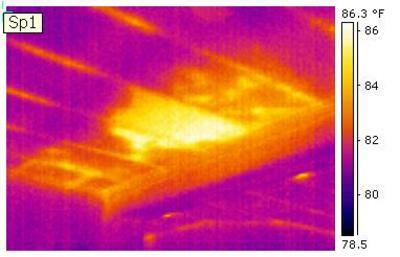 We've integrated InfraRed Camera use in our home inspection services, and really wow'd our clients. When we find nothing additional to be concerned about, our clients feel they have a better sense of the condition of the home. The little "what if's" are have been further addressed. The Home inspector can save you and your building from natural calamities and Hazardous accidents that can harm your life. Understand your new home better with the Home inspector.